THAT L.A. 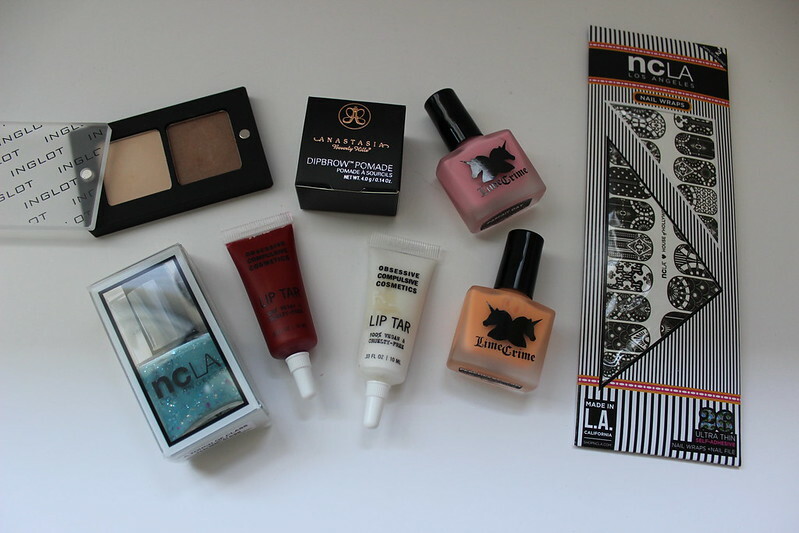 IT GIRL: PhamExpo Haul! I went to PhamExpo on June 28th. I only attended one day, but I got a couple of really cool goodies to show you guys! Inglot Eyeshadow Duo - This is my first time trying out Inglot. I have to admit the shadows look pretty, but I kind of wished I had gotten a slightly darker brown. Anastasia DipBrow - This was probably the best deal booth out of all of the other booths I saw. They had some amazing deals on their items. I saw that the Brow Wiz was $14! Which was a good deal! Compared to $21 at Sephora! I didn't pick up another Brow Wiz, because I still have a good amount of mine, and I have a couple of other brow products I want to use up first. Lime Crime Nail polish - I just had to wait in the line that was Lime Crime, which by the way took forever to get to the end. But I did walk away with 2 of their nail polishes! Can't wait to try these out. Keep updated on Instagram, to see how much I like these. I really wanted to pick up some of their lipsticks, but I was more interested in their polishes at the moment, since I've seen a lot of bloggers have their polishes! OCC lip tars - I picked up stalker, and feathered. I went to PhamExpo to see if they had any of the primary packs available, since they sold out so quickly on Sephora. They didn't have any of that. The girl told me that they were trying to sell their regular lip tars for $55 for the primary pack. Which would have been cool, but I limited myself to $100. Maybe next year! 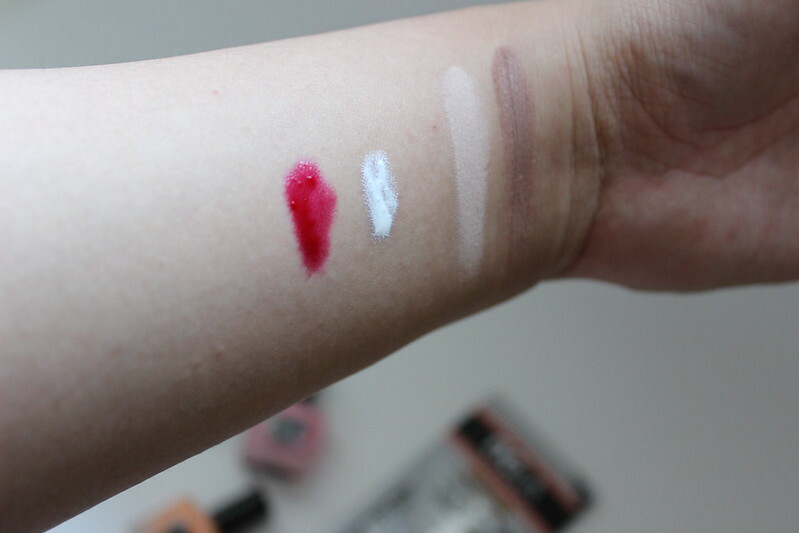 From left to right: Stalker, Feathered, and the Inglot shadows. JEALOUS!!! I've been wanting the Dipbrow for a while now but Sephora does not ship to Guam! Wahhh!! Interested in those lip tars! I hope you'll do a review??? Such a lucky lady with all these goodies you came back from the expo with. Bet it was fun! Wow, you definitely scored there! Great roundup!